We can limit what God does in us by assuming what is and is not possible. Is there a seemingly impossible task that you believe God wants you to do? Don’t let your estimate of what can and can’t be done keep you from taking on the task. God can do the miraculous; trust him to provide the resources. This is one of today’s *Life Applications. John Chapter six has 70 verses, its long but great none the less. 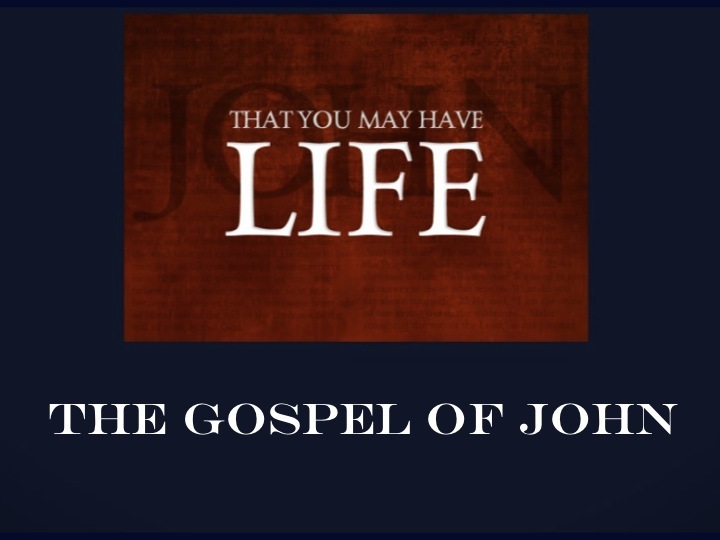 Once again in this Gospel, John selects a particular place for presenting a spiritual truth about Christ. Earlier, the well in Samaria was an excellent setting for Christ to teach about the fountain of living water. Here, in chapter 6, the multiplication of the loaves provides a way for Christ to present himself as the Bread of Life. 6:1 Jesus crossed over the Sea of Galilee, a great body of water (which is actually a lake, thirteen miles by seven miles) given the name the Sea of Tiberias by Herod Antipas in honor of the Roman emperor Tiberias in a.d. 20. 6:2-4 Jesus was popular, and a huge crowd kept following him, mainly because of his miracles as he healed the sick. Presumably to continue teaching, Jesus went up into the hills (the Sea of Galilee is surrounded by hills) and sat down with his disciples. John mentions three Passover celebrations in this Gospel: the first in 2:13 (when Jesus was in Jerusalem), the second here (when Jesus remained in Galilee), and the third in 12:12 (when Jesus went to Jerusalem and was crucified shortly thereafter). 6:5-6 The crowds followed Jesus right up into the hills. As Jesus saw them, he asked Philip where they should buy bread to feed all these people. If anyone knew where to get food, Philip would because he was from Bethsaida, a town about nine miles away (1:44). Jesus was testing Philip to strengthen his faith. By asking for a human solution (knowing that there was none), Jesus highlighted the powerful and miraculous act that he was about to perform. As he did with Philip, Jesus sometimes tests us by putting us in difficult situations with no easy answers. At these times we feel frustrated, as Philip did. However, frustration cannot be God’s intended result. The wise disciple always keeps the door open for God to work. When the first or second look at a problem yields no solution, do you trust God to work or assume it’s hopeless? Philip fell short because he allowed his thinking to be limited by his own limited resources instead of seeking God’s limitless resources. John clues us in: Jesus was testing Philip, for he already knew what he was going to do. In usual use, the word “test” has a neutral meaning. It refers to a proving experience like Jesus’ testing in the wilderness or Abraham’s test over the sacrifice of Isaac. In all these cases, God allowed the test to occur, not expecting failure, but placing the person in a situation where his or her faith might grow stronger. Jesus did not want Philip to miss what he was about to do. 6:7-9 Philip realized that with the number of people climbing in their direction, it would take a small fortune to feed them. But, in fact, Philip did not really answer Jesus’ question. The Lord had asked him to consider where they could get food; Philip responded with what he perceived as the larger problem—the money it would take to supply the food. When Jesus asked Philip where they could buy a great quantity of bread, Philip started assessing the probable cost. Jesus wanted to teach him that financial resources are not the most important ones. We can limit what God does in us by assuming what is and is not possible. Is there a seemingly impossible task that you believe God wants you to do? Don’t let your estimate of what can and can’t be done keep you from taking on the task. God can do the miraculous; trust him to provide the resources. At this point, Andrew (who is usually presented in the Gospels as Simon Peter’s brother and takes a subordinate position to him) took advantage of an opportunity to join the discussion. Apparently a young boy who had overheard the conversation pulled out his lunch and made it available. It was Andrew who inadvertently answered Jesus’ original question. He pointed out that the only available food was the boy’s lunch: five barley loaves and two fish. (Barley loaves and fish were food for the poor.) Then Andrew added the disclaimer: “But what good is that with this huge crowd?” Whether Andrew was speaking in humor or hyperbole we can’t be sure, but we can be fairly certain that he did not expect what followed. The disciples’ skeptical reluctance contrasts with the youngster’s willingness to share what he had. Others may have been withholding what they had. They certainly had more resources than the boy. But they knew they didn’t have enough, so they didn’t give anything at all. The boy gave what little he had, and it made all the difference. If we offer nothing to God, he will have nothing to use. But he can take what little we have and turn it into something great. 6:10-13 What was offered was enough for Jesus. He told the disciples to have everyone sit down. The men (the Greek word means “male individuals”) numbered five thousand. So with women and children, there were many more. Then Jesus took the loaves, gave thanks, and passed them out to the people. The fish were also distributed in like manner. After all had eaten and were full, they still had leftovers; the disciples filled twelve baskets with the pieces of the five barley loaves left over. This miracle and these leftovers reveal Jesus once again as the all-sufficient Lord. Our needs and problems are not obstacles to him, for his abundant power transcends any need or problem we place before him. Thankfulness helps us appreciate both meals and miracles more fully. Jesus regularly gave thanks for food. The way in which he always paused to thank the Father made an indelible mark on the disciples. It was so characteristic of Jesus that even the two disciples with whom Jesus walked to Emmaus after the Resurrection recognized him when he gave thanks (Luke 24:30). How well are we recognized by our spiritual habits? When we give thanks for our meals we follow the example of Jesus Christ himself. We can learn from the leftovers. God gives in abundance. He takes whatever we offer him in time, ability, or resources and multiplies its effectiveness beyond our wildest expectations. If we take the first step in making ourselves available to God, he will show us how greatly we can be used to advance the work of his kingdom. Most of us want to see a great work of God, But can we take the first step of sacrifice? 6:14 The people saw and filled their stomachs as a result of this sign—who could have missed it?—and this led them to believe that Jesus was the Prophet whom Moses had predicted (Deuteronomy 18:15-18). John does not say the people were wrong to think of Jesus as “the Prophet,” but the next verse shows that they thought this Prophet should be a political leader. In this they were wrong. Elisha foreshadowed this Prophet (who was one in the same as the Messiah) to come. According to 2 Kings 4:42-44, Elisha fed one hundred men with twenty loaves (a 5:1 ratio). But Jesus fed five thousand with five loaves (a 1000:1 ratio)! In Isaiah 25:6-9, the prophet said that the Messiah would prepare a great feast for all people, Jews and Gentiles. This miracle shows Jesus to be the Messiah. 6:15 During Jesus’ ministry, nationalistic fervor was high; the people wanted a king, a leader who would free Israel from Rome. The people expected this of the coming Messiah-King. When Jesus realized their intentions, he left. Jesus’ Kingdom would not be an earthly one; his Kingdom would not be established by a groundswell of popularity. This same opportunity for political power had already been offered to Jesus by Satan in the wilderness (Matthew 4:1-11). Jesus knew that the immediate opportunity was nothing compared to what God had planned (see Daniel 7:13-14). Of the three Gospel accounts of this miracle, John’s includes the fewest details. He understates the action, and apart from a brief mention of the disciples’ fright, he makes little emphasis on this event. Matthew described Peter’s walk on (then in) the water. Mark mentioned the difficulties being created by the wind and waves as well as the fact that when the disciples saw Jesus, he was passing by them. The focus of Matthew and Mark highlighted the miracle and its effects on those who participated in it; John included the miracle as yet another indication of the true identity of Jesus. 6:16-18 Jesus had gone up to a mountainside to be alone (6:15). The disciples went down to the shore to wait for him. Though it was late in the day, many of the disciples were experienced boatmen who would have felt comfortable sailing at night as well as in daylight. Jesus had called Peter to follow him after Peter and his partners had been out all night fishing (Luke 5:1-11). As it got dark and Jesus still hadn’t come back, the disciples decided to head out across the lake toward Capernaum. This lake, the Sea of Galilee (or Sea of Tiberias, see 6:1), is very large. It is 650 feet below sea level, 150 feet deep, and surrounded by hills. These physical features make it subject to sudden windstorms that cause extremely high waves. Sailors expected such storms on this lake, but the storms could still be very frightening. Such a sudden storm arose as a gale swept down upon them. The Sea of Galilee is about seven miles across at its widest point, and the disciples were rowing the boat through rough waters that the wind had stirred up at the north end. They had recently encountered a bad storm in similar circumstances, except that at that time Jesus was in the boat with them (Mark 4:35-41). This time they noticed his absence. Sadly, most of us quickly forget in the darkness what seemed so clear in the light. As the disciples continually learned, we depend on tangible evidence more than we ought. Our senses, though valuable gifts, have limitations. As soon as Jesus left his disciples, they forgot the amazing powers he had shown them so recently. But before we chide their lack of faith, we need to examine our own. How much of our spiritual life is a series of peak experiences of God’s nearness followed by declines? When we can’t feel God’s presence, do we assume that he is not there and that he cannot help us? God’s presence and help should come as a welcomed expectation, not a frightening surprise! Faith is a mind-set that expects God to act. When we act on this expectation, we can overcome our fears. Even after watching Jesus miraculously feed over five thousand people, the disciples still could not take the final step of faith and believe he was God’s Son. If they had, they would not have been amazed that he could walk on water. They did not transfer the truth they already knew about him to their own lives. We read that Jesus walked on the water, and yet we often marvel that he is able to work in our lives. We must not only believe these miracles really occurred; we must also transfer the faith to our own life situations. 6:19-21 They had gone three or four miles. According to Mark 6:45, it had taken the disciples all evening to row this short distance—evidently because the headwind was so strong. Suddenly, they saw Jesus walking on the water toward the boat. Not only was Jesus walking on the water, he had walked a great distance over raging seas! Understandably, the disciples were terrified, but Jesus called over the wailing wind, “I am here! Don’t be afraid.” The disciples thought they were seeing a ghost (Mark 6:49). When Jesus came to the disciples during a storm, walking on the water (three-and-a-half miles from shore), he told them not to be afraid. We often face spiritual and emotional storms and feel tossed about like a small boat on a big lake. In spite of terrifying circumstances, if we trust our lives to Christ for his safekeeping, he will give us peace in any storm. To understand the action in these verses, we must back up and trace the movements of all the characters. Jesus performed the miracle of feeding the five thousand somewhere on the eastern shore of the Sea of Galilee (6:1). That evening, his disciples boarded a boat headed west toward Capernaum (6:17) without Jesus, who had gone up into a mountain to be alone (6:15). Then Jesus came to the disciples during the storm (6:21). So Jesus and the disciples arrived together at Capernaum (presumably before dawn). On the opposite shore, the crowd that had seen the disciples leave knew that Jesus hadn’t gone with them and that the disciples had taken the only boat. The next morning they discovered that Jesus was gone, but they knew that he had not gone with the disciples. They assumed that he must have left to join his disciples. 6:22-25 At some point during the day, several boats arrived from Tiberias. Though it is not stated, the implication is that the crowds may have heard of Jesus’ whereabouts from someone on the boats. So people from the crowd used those boats, which were probably going to head back across the sea toward Tiberias anyway, to cross to Capernaum to search for Jesus. 6:26-27 The crowd, being satisfied once by what Jesus had done for them, wanted to see what else Jesus could do for them (maybe he’d provide more free meals?). But they did not realize what the miracle actually revealed to them. Jesus refused to encourage them in their desire for the material satisfaction he could provide. His beginning response in effect was, “You were so intent on being fed that you haven’t yet seen who provided the food.” The people may not have known it, but their needs went much deeper. Jesus’ signs were given to reveal that he could meet those deeper needs. Thus, Jesus told them: “Spend your energy seeking the eternal life that I, the Son of Man, can give you.” The bread that fills the stomach, whether produced by a miraculous sign or made at the bakery, is not spiritual or eternal. Jesus was saying that the people should not be following him because he provided free bread, but because he provides spiritual “bread”—bread that can give them eternal life. He wanted the people to look to him as the one who could provide the food that endures to eternal life. He himself is that food. By coming to him and receiving him by faith they would partake of the Bread of Life. That is why God the Father sent him. 6:28-29 The crowd missed Jesus’ words about how he would give the food that lasts for eternal life. So they asked, “What does God want us to do?” Jesus gave a straightforward answer: “This is what God wants you to do: Believe in the one he has sent.” The only “work” God requires from us is to believe in his Son. But for some reason, we feel better somehow “earning” God’s favor rather than accepting it as a gift. Eternal life is a gift; it cannot be earned; the only work to be done is to believe in Jesus. Many who sincerely seek God wonder what he wants them to do. The religions of the world have many answers to this question, but Jesus’ reply was brief and simple: Believe in him whom God has sent. Satisfying God does not come from the work we do, but from whom we believe. What does it mean to believe? The first step is accepting Jesus’ claim to be the Son of God. We declare in prayer to Jesus, “You are the Christ, the Son of the living God” (Matthew 16:16 nkjv). Accepting Jesus means giving him control of every area of life. To believe means to yield our wills, our desires, our plans, our strengths and weaknesses to Christ’s direction and safekeeping. It means moment-by-moment obedience. Believing is a relationship with the one who promises to live within, trusting him to guide and direct us to do his will. 6:30-31 Amazingly, the crowd then asked Jesus to do a miraculous sign if he wanted them to believe in him. The crowd had just seen the miracle of the multiplication of the loaves, but they wanted more—not just one day’s supply of bread, but a guarantee of continuous supply. Their argument was that their ancestors ate manna in the wilderness—which, of course, was available every day for nearly forty years. And they cited their Scriptures, quoting from such verses as Exodus 16:4 and Psalm 78:24-25. A Midrash (Jewish commentary) on Exodus 16:4 says that just as the former redeemer (Moses) caused manna to descend from heaven, so also the latter Redeemer will cause manna to descend. They expected this from Jesus if he was the Messiah. 6:32-33 Moses hadn’t performed the miracle, the Father had. And the God who gave the manna to the Israelites for forty years now gives the true bread from heaven—Jesus. Just as the Israelites ate manna every day, so God provides the true bread of God for daily sustenance. God had given them his Son—the one who comes down from heaven and gives life to the world—as the true heavenly bread to meet their daily spiritual needs. The present tense indicates the continual supply. *LIFE APPLICATION: WHO IS THE SOURCE? The Jews wanted to give Moses the credit for what God had done. Can the same kind of misunderstanding creep into our own thinking? For instance, when we speak about prayer, do we tend to take part of the credit for the work that God actually accomplishes? We hear statements such as, “She was sick, and we prayed and she was healed,” or “The storm was approaching, but I prayed and it went around us.” Our phrases may imply that the power was in the prayers rather than in God who hears and answers prayer. Prayer allows us to participate in God’s work. We dare not get so involved in our experience of prayer that we neglect the source of our power. When prayers are answered, our attention must be on who answered rather than on who prayed. 6:34-35 The Jews did not grasp that Jesus spoke about himself as the Bread of Life; they wanted a daily supply of physical bread, saying, “Give us that bread every day of our lives.” Like the woman at the well who asked Jesus to give her the living water so she wouldn’t be thirsty again, this crowd wanted what Jesus could give so their lives could be made easier. They missed the point. So Jesus told them directly, “I am the bread of life.” If people wanted this bread, they must come to Jesus and believe in him. When Jesus used the words “I am,” he was pointing to his unique, divine identity. In essence this statement says, “I the Lord God am here to provide you with everything you need for your spiritual life.” For Jesus to say he is the Bread of Life is for him to say, “I am the sustenance of your life.” Just as bread supplies our bodies with strength and nourishment, Jesus, the true Bread from Heaven, had come to strengthen and nourish his people, so that they would never be hungry again and never thirst. Jesus offers the ultimate spiritual satisfaction: If we believe in him, we will never hunger or thirst. But we have heard the gospel wrong if we think Jesus offers an escape from life and its problems. Thousands of Christians still face physical hunger, and millions face crushing difficulties. The gospel frees us to face life. In the middle of the world’s pessimism and despair, the gospel unflinchingly claims that Jesus offers infinitely more than this life can give. We will be disappointed if we expect the presence of Jesus in us to mean that we are immune to sin, struggles, and failures. There are many ways to know hunger and thirst, and we will undoubtedly experience many of them. One of Jesus’ last statements was, “In the world you face persecution. But take courage; I have conquered the world!” (16:33 nrsv). 6:36 According to some manuscripts, the reading is: “You have seen me.” This emphasizes that the crowds had seen Jesus, the very Bread of Life, standing before them, and yet they had not believed in him. Other manuscripts read, “You have seen and still you do not believe.” This emphasizes that the crowds had seen the miracles Jesus did and still they did not believe. They had not only seen but eaten the multiplied bread and fish, but they resisted the necessary conclusion that he was divine. 6:37 In the Greek, the word those is neuter singular, indicating the total body of believers for all time. The Father gives this collective group to the Son (see also 17:2, 24). Only those selected by God can come to the Son and believe in him. God’s Spirit enables them to come. All those who have been invited to come to Jesus and have done so can rest assured that God was at work in their lives. While the first part of this verse speaks of the collective group of believers, this second part speaks about the individual: “I will never reject them.” God’s word assures us that Jesus will always welcome the sincere seeker, and the seeker who comes to believe will never be rejected (10:28-29). The Father gives, the Son preserves, and we come. God’s foreknowledge is a part of his character that we must accept though we do not fully understand. We must ask ourselves: Am I one of those who has come to Christ? Whether or not we are among those whom the Father has given to the Son, or whether we are secure in Christ’s protection, depends on how we answered the first question—have we come? When we come to Jesus, we find great assurance in his promise that we will never be rejected. 6:38 Jesus did not work independently of God the Father, but in union with him: he came to do the will of God. This should give us even more assurance of being welcomed into God’s presence and being protected by him. All who respond positively to God’s call can be assured of his protection (see 17:11). The protection covers them in this life and for eternity. Our spiritual hunger and thirst are satisfied in this life, and we know in the future that we will be raised from the dead to live with Jesus forever. Yet the guarantee does not apply to superficial attachment. We must follow him wholeheartedly and commit our lives to him. 6:39-40 As in verse 37, the Greek word for all those is neuter singular; they indicate the total collective entity of all believers. All those who are among this group of believers can be assured of God’s promise of eternal life. Christ will not let his people be overcome by Satan. They will not be lost, and he will raise them to eternal life at the last day. However, this commitment must not be superficial, as was the “commitment” of those disciples who turned away (see 6:66). But those who believe will have eternal life. God values each person. Jesus demonstrated how valuable we are by his teaching: God sent the Son to earth; the Son came to earth; the Son promised to both preserve and to resurrect the ones he received from the Father. Many of the crowd in Capernaum that day could not believe their ears. They knew this man’s family, yet he claimed to be the Son of God. To them, Jesus’ delusion seemed obvious. In their minds, Jesus was a local product with interesting powers and unusual authority, but was audacious when it came to speaking about himself. Jesus responded with uncompromising directness. He required then, as he requires now, an unconditional acceptance of his lordship. Any attempt to soften his claim amounts to rejection of his central message. 6:41-43 The people had some disagreement with Jesus. They knew his father and mother, so how could he say he came down from heaven? What they concluded was logical, but they really didn’t know Jesus’ parentage. Jesus had moved from Nazareth to Capernaum at the beginning of his ministry (see Matthew 4:13; Mark 1:21; John 2:12). Most likely, his parents and siblings had gone with him. The Jews in Capernaum knew Jesus’ parents, and therefore they thought they knew who Jesus was—the son of Joseph. But Jesus told the people to stop grumbling and complaining about what he had said. Not one of them could know his true identity if the Father had not revealed it to him. Jesus relied on this revelation. If we listen carefully, we will hear people admiring Jesus in some way while refusing to submit to him. They might say, “He’s a great teacher, but I don’t believe he’s God.” Some so-called Christians or a respected leader or minister may have let them down or even abused them in some way. Perhaps a parent modeled a contradictory message of religious superficiality alongside violent behavior. Pain creates very real obstacles. We must not deny the pain in ourselves or in others, but pain and disappointment must not keep people from Jesus. Beyond whatever obstacles come between us and Jesus, we must honestly ask, Is what happened an excuse to reject Jesus or a reason to run to him? 6:44-46 A person cannot come to Jesus if he has not been drawn by the Father, taught by the Father, heard from the Father, and learned from the Father. God, not the person, plays the most active role in salvation. When someone chooses to believe in Jesus Christ as Savior, he or she does so only in response to the urging of God’s Holy Spirit. Thus no one can believe in Jesus without God’s help. When Jesus quoted from the prophets saying, “They will all be taught by God,” he was alluding to an Old Testament view of the messianic Kingdom where all people would be taught directly by God (Isaiah 54:13; Jeremiah 31:31-34). He was stressing the importance of not merely hearing, but learning. We are taught by God through the Bible, our experiences, the thoughts the Holy Spirit brings, and relationships with other Christians. Are you open to God’s teaching? Jesus’ previous statement about people being taught by God (and listening to and learning from the Father) does not mean that any person could actually see God the Father. Only Jesus has come from God’s presence, and only he has seen the Father. This last statement in itself implies divine privileges—for no man has ever seen God (see 1:18; 1 Timothy 6:15-16). 6:47 Jesus makes it plain that the believer has eternal life, starting now. The verb “believes” in these verses means “continues to believe.” We do not believe merely once; we keep on believing in and trusting Jesus. 6:48-50 Jesus then declared again (6:35), “Yes, I am the bread of life!” This is one of Jesus’ remarkable “I am” declarations recorded in John’s Gospel. No one but Jesus is the Bread that gives eternal life. The people earlier had spoken of the manna their ancestors ate in the wilderness (6:31), using that event as a standard for measuring Jesus. Jesus refused their challenge. Manna was a physical and temporal bread. The people ate it and were sustained for a day. But they had to get more bread every day, and this bread could not keep them from dying. Without demeaning Moses’ role, Jesus was presenting himself as the spiritual Bread from Heaven that satisfies completely and leads to eternal life. Again, the personal effectiveness of this Bread comes not from seeing it or from recognizing its heavenly origin, but from taking it in—eating it. 6:51 To offer his flesh meant Jesus gave over his body to death on the cross, so that by his death people could live forever. To eat the living bread means to accept Christ into our lives and become united with him. We are united with Christ in two ways: (1) by believing in his death (the sacrifice of his flesh) and resurrection and (2) by devoting ourselves each day to living as he requires, depending on his teaching for guidance, and trusting in the Holy Spirit for power. Just as the Jews depended on bread for daily strength and relished it as a main part of their diet, so we should depend on and desire the living Christ in our daily lives. 6:52-53 Instead of directly answering their question about how he could give them his flesh to eat, Jesus reemphasized the necessity of eating his flesh and also drinking his blood. No one could receive his life until the giver died by shedding his own life’s blood. Thus, Jesus wants us to accept, receive, even assimilate the significance of his death in order to receive eternal life. Christians do this frequently when they commemorate the Lord’s Supper. But Christians should not limit this to only the celebration of the Lord’s Supper (or Eucharist); Christians can partake of Jesus anytime. 6:54-55 Those who eat Jesus’ flesh and drink his blood have eternal life. Those who accept by faith Jesus’ sacrificial death receive eternal life. 6:56 This is the first mention in this Gospel of “mutual indwelling” (that is, a simultaneous indwelling of two persons in each other, also known as “coinherence”). When we receive Jesus, we remain in him and he remains in us. 6:57 Here Jesus pointed to his relationship with the Father as a model of the vital union he would share with each believer. Jesus said that he lives by the power of the living Father who sent him, so those who partake of Jesus will live because of Jesus. 6:58-59 This verse summarizes the discourse and repeats the major points of Jesus’ message. He again contrasted himself as the true bread from heaven that gives life with the manna that could not give eternal life to those Israelites who ate it. Jesus gave this teaching in the synagogue in Capernaum to the Jews gathered there for worship. Those listening to Jesus were experiencing a crisis in their determination to follow him. Many of his actions thus far had been attractive, though sometimes curious. But all this talk of consuming his body and blood was difficult to stomach. Jesus’ claims forced his followers to examine their real motives and the depth of their commitment. The motive behind Jesus’ harsh words is not difficult to see—he wanted people to count the cost of following him (Luke 14:25-33). His words shocked and challenged. They were not comfortable half-truths, but hard-edged truth. Those who follow Jesus in hopes of feeling good always will be disappointed sooner or later. Only those who find in Jesus the rock-solid truth will be able to weather the difficulties of living in this fallen world. If our central motive for following Jesus isn’t because he is the Truth, we too will be disappointed. 6:61 Jesus, knowing that his listeners were complaining, asked, “Does this offend you?” or more literally, “Does this cause you to stumble?” (The Greek word skandalizo means “to ensnare, to trap, to cause to stumble”; it is often used to indicate a falling away into unbelief. See, for example, Matthew 13:21; 24:10; Mark 6:3; Romans 14:20-21.) Jesus was keenly aware that those not ready to respond fully to him would stumble over him or be offended by him. Remember that it is possible to be offensive in the way we communicate the gospel, for which we would be at fault. But if we present Jesus lovingly and honestly, we must neither be shocked nor feel guilty if the Good News offends someone. 6:62 They didn’t believe that Jesus came down from heaven. If they saw him return to heaven, would they then believe? According to verse 65, they would not, for they were not true believers. Jesus had been purposely harsh so as to separate the true believers from those who were accompanying him for the wrong reasons. Some sought a new political party; others thought Jesus might lead a revolt against Rome; still others were simply fascinated with theological discussions. All of these thoughts were potential starting points of interest in Jesus, but they were not enough to make people real disciples. 6:63 This statement gives us the key to interpreting Jesus’ discourse. His hearers had not understood the spiritual intent of his message. A fleshly interpretation of his words would yield nothing; one must apply a spiritual interpretation to Spirit-inspired words. Human effort that begins with the desires and objectives of human wisdom accomplishes nothing. Instead, it is the Spirit who gives eternal life. Jesus’ very words are spirit and life; therefore, we must depend on the life-giving Spirit to appropriate Jesus’ words. Peter was one such believer who came to realize that Jesus had the words of eternal life (see 6:68). 6:64 From the beginning of his ministry Jesus knew that some of the ones following him were not believers in his true identity as the Son of God come from heaven. Jesus also knew from the first who would betray him. This was Judas, the son of Simon Iscariot (6:70). For a moment, John interrupts with a brief word of explanation for his original readers and us. Jesus included Judas in every facet of his ministry, knowing all the time that he would not respond to the living truth. Jesus’ treatment of Judas was consistent with his own character, despite that which Judas deserved for his unwillingness to believe. 6:65 This repeats what Jesus had declared before (see 6:44-45). The signs in themselves, no matter how remarkable, are not completely convincing. Some believe through seeing and others believe though not seeing, but all require God’s assistance (20:29). 6:66 Jesus was saying tough things, and this caused many of his disciples to not follow anymore. Within sight of the Kingdom of Heaven, privileged with a taste of the bread of life, and watching the living water flow, they nevertheless walked away. In a short sentence, John captured one of the saddest moments in the ministry of Jesus. Why did Jesus’ words cause many of his followers to desert him? They may have realized that he wasn’t going to be the conquering Messiah-King they expected. He refused to give in to their self-centered requests. He emphasized faith, not deeds. His teachings were difficult to accept, and some of his words were offensive. As we grow in our faith, we may be tempted to turn away because Jesus’ lessons are difficult. When discouragement, doubt, or confusion set in, will our response be to give up, ignore certain teachings, or reject Christ? Instead, we must consistently ask God to show us what the teachings mean and how they apply to our lives. We must then have the courage to act on God’s truth. 6:67-68 According to the Greek, this question expects a negative answer. Jesus knew their weaknesses and how little they really understood. He knew that one of them would not only go away, but betray him also. Yet he also knew that God had chosen eleven to believe in him. We can’t stay on middle ground about Jesus. When he asked the disciples, “Are you going to leave, too?” he was showing them that he was not taking their faith for granted. Jesus never tried to repel people with his teachings. He simply told the truth. The more the people heard Jesus’ real message, the more they divided into two camps—the honest seekers wanting to understand more, and those rejecting Jesus because they didn’t like what they heard. Peter replied, “To whom would we go?” In his straightforward way, Peter answered for all of us—there is no other way. Though there are many philosophies and self-styled authorities, Jesus alone has the words that give eternal life. People look everywhere for eternal life and miss Christ, the only source. There is nowhere else to go. 1. Do we (or those people we would like to reach) really desire eternal life? For many, eternity is an unattractive subject. Life is going so well. Death and disease are usually distant and unreal. Relationships, pleasures, and possessions are too cherished to even think about forsaking. The fact that we will be dead infinitely longer than we have lived is denied for as long as possible. 2. Are we holding out for eternal life through another way? Some people avoid thinking about eternal life by denying its existence outright. In fact, many religious systems do not have a concept of eternal life. Those that do, make the requirements unclear or beyond attainment. Jesus’ words are the only source of eternal life: “I am the bread of life. . . . If anyone eats of this bread, he will live forever” (6:48, 51, niv). 6:69 Peter’s declaration parallels the one he made at Caesarea Philippi, but each of the synoptic Gospels gives a slightly different version of Peter’s words (see Matthew 16:16; Mark 8:29; Luke 9:20). Peter was actually saying more than he knew. The descriptive words he blurted out to tell Jesus how he and the other disciples felt about him conveys both Peter’s impulsive nature and his genuine impression of Christ. First, he called Jesus “Lord” (6:68). To this he added: (1) there’s no one else like you; (2) you have the truth about eternal life; (3) we have believed; (4) we know that you are the Holy One of God. Peter was doing the best he could to describe Jesus in a category separate from anyone else who ever lived. Like Peter’s, our own understanding of Jesus must expand as we live for him. When we first believe in Jesus as Savior and Lord, our understanding will be real but limited. But as time passes, our awareness of the breadth and depth of Jesus’ saving work and his lordship ought to grow. 6:70-71 Peter may have thought he was speaking for the Twelve, but not so. One among them—Judas Iscariot—was a devil, the traitor who would betray Jesus. According to 13:2 and 27, Satan put the idea into Judas’s heart to betray Jesus and then entered Judas to instigate the actual betrayal. Diabolos (6:70) means “slanderous, devilish,” and having Satan’s nature and qualities. Judas gave into evil thinking and came under the control of the devil. John reminded his first readers about what was at stake. Almost every word of teaching uttered by Jesus was given in the context of intense spiritual drama. Heaven must have held its breath as humans tried to figure out Jesus’ true identity. *LIFE APPLICATION: HOW WILL YOU RESPOND? In response to Jesus’ message, some people left; others stayed and truly believed; and some, like Judas, stayed but tried to use Jesus for personal gain. Many people today turn away from Christ when they discern his real message. Others pretend to follow, going to church for status, approval of family and friends, or business contacts. We have only two choices for responding to Jesus—we either accept him or reject him. Have you accepted or rejected Christ?